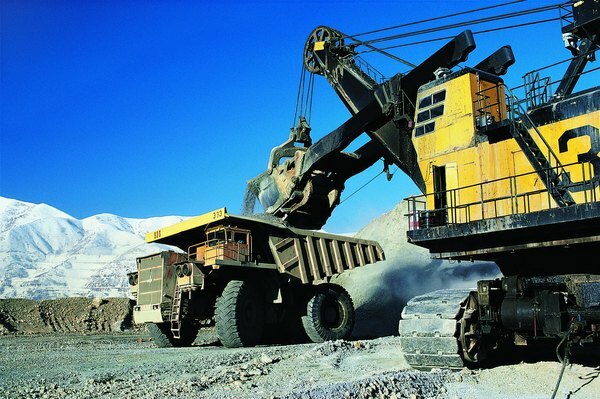 Canadian mining company stocks pose a substantial risk to unwary investors. With a rich and largely unexplored wealth of natural resources, Canada provides mining companies with lots of business opportunity. But for investors, the field of Canadian mining is more of a minefield -- a place that poses serious financial dangers to the unwary. Although Canada has numerous legitimate mining companies trading on various stock exchanges, the quest for the next ridiculously underpriced "penny stock" remains a strong temptation, even for those experienced in stock scams and investment fraud. A penny stock is a share that sells for less than a dollar and in some cases for less than a penny. Penny stocks are volatile and risky; they never pay dividends, and the majority of the companies don't report much in the way of earnings or profit. The market for these cheap shares is dominated by "market makers" who control the trading. Canadian mining startups make up a large group of penny stocks traded in the United States' "over-the-counter" market and on Canadian stock exchanges. A startup mining concern commonly seeks operating capital by issuing shares to the public, while forecasting future production of gold, copper, silver or other valuable metals. In Canada, the Venture Exchange has developed into a "feeder" stock market, where junior mining companies and partnerships can raise capital and develop confidence among investors. As their valuation increases, these companies may graduate to the big league of the Toronto Stock Exchange. Between 1999 and 2012, 236 of the 451 Venture Exchange firms that moved to the TSE were mining companies. The Bre-X scandal of the 1990s threw a long shadow over Canadian mining stocks. A struggling geologist working in Indonesia announced that he had discovered a vein of gold ore on the island of Borneo. Canadian businessman David Walsh invested his mining startup Bre-X in the find and later produced core samples said to be rich with gold ore. The company's penny stock price rose from 30 cents to more than $200 a share. Bre-X then partnered with the mining conglomerate Freeport McMoran, whose analysts discovered that the ore deposit contained insignificant amounts of gold, and the geologist had "salted" the ore samples with shavings from his own wedding ring. The collapse of Bre-X caused huge losses to hundreds of investors, including large Canadian pension funds. Many small Canadian mining companies use professional stock promoters, who are in the business of publicizing startup companies and convincing new investors to buy in. These promoters, many of whom are based in Vancouver, convince mine owners to issue new shares, diluting the value of the penny stock. They use newsletters, press releases, email spam, chat rooms and Internet sites to convince potential investors that the mine can achieve profitable production of gold. The promoter, meanwhile, collects fees and loads up on stock, preparing to profit when demand temporarily drives up the price. Investors reading any information on Canadian mining stocks should know that the source of the information may be getting paid to sell the story. In his report "A Review of Recent Mining Stock Scams," analyst John Meech points out that Canadian mining has had notable successes, including the Eksay Creek mine -- the richest gold deposit in the world -- and Canada's first diamond mine at Ekati in the Northwest Territories. But investors should keep in mind that most development-stage mining companies in Canada end up returning nothing to their owners or shareholders. Meech himself puts the odds against success for even legitimate exploration companies as 1,000 to 1.